Weekend Cat Blogging is being hosted by.....us. So, leave your link in the comments, and we'll add them, as we get them, to the recap. Don't forget about The Friday Ark, The Bad Kitty Cats Festival Of Chaos, and The Carnival Of Cats!! 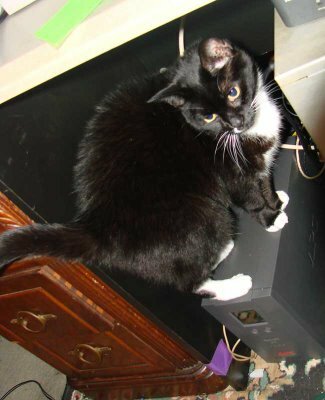 Goodbye to sweet Lilly. She was loved very much, and her family misses her. I know for a fact that Baking Soda, over at Bake My Day, is a fabulous baking babe. 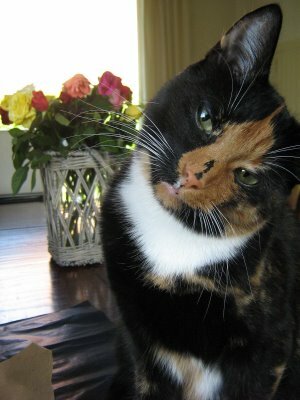 And I bet she trained her gorgeous tortoiseshell kitty to knead dough. 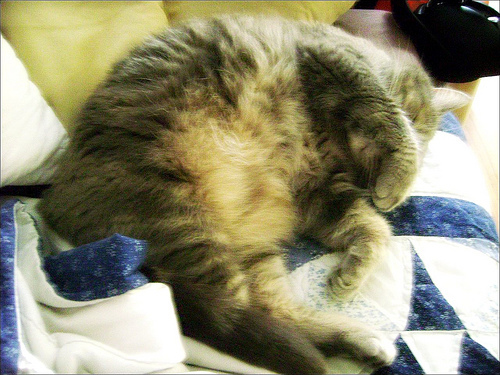 I think I see a smidge of flour on that pretty fur. Supercool Jenn at I Got 2 Shoes claims that Mr. Kamikaze is trying to bite her finger off. But, I think he wants to taste her finger nail polish. He probably thinks his nails need the same attention!! Shakespeare fans, there's a whole Midsummer Night's Dream going on over at Corgi Feathers, with adorable Oberon and Titania (and a changeling!). 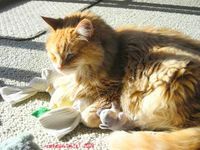 Hurry, hurry over to Icanhaspnutbutr and see the gorgeous Harmon before he has his annual summer hair cut! He sure knows how to treat a mousie. Stupendous Stasia over at Zazamataz.com is lobbying to have her own My Space account. Great idea! I want one too. Why do we need permission? 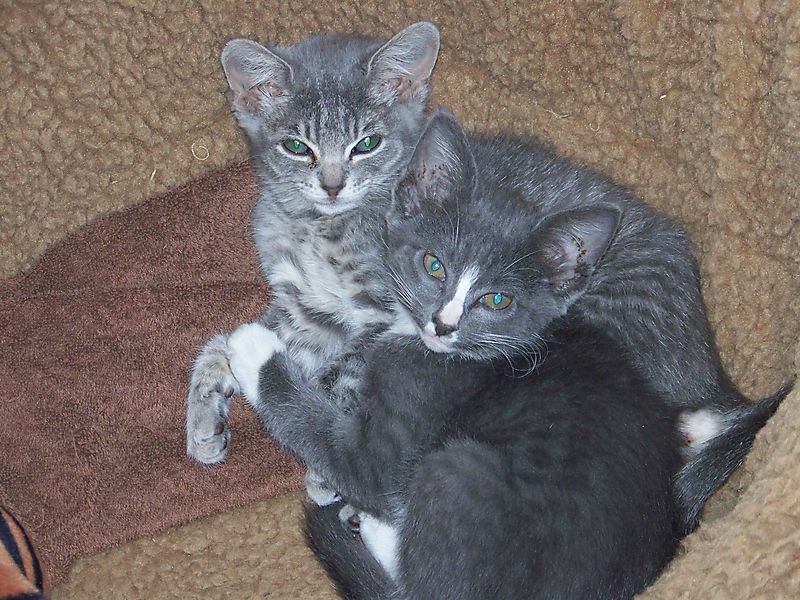 It's always a great thing when you see how a kitty found their family. 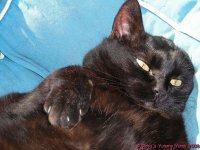 At It's All Good, you can see beautiful Caitie's original gotcha day! It's cool. 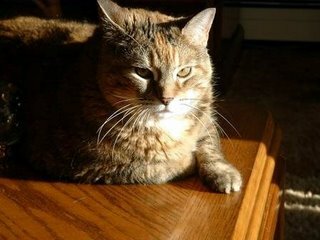 OK, I want my mom to take the glamour shots of me like Sasha at Music and Cats! I swear--you can see every hair and whisker like he was in front of you! Boni Maroni at House Of The (Mostly) Black Cats is suffering through a heat wave, just like we had a few weeks ago. But, Boni finds a cool spot on the Pee See. You'll just have to go there and see what that is!!! Mother Nature has been very harsh on the gang at Artsy Catsy, knocking down their trees and keeping them in their house. I sure hope things get better soon! Hang in there! Uh-oh! 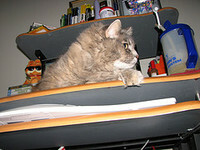 It looks like there may be a skirmish brewing over at Life From A Cat's Perspective. Tigger is trying to take Samantha's favorite sleeping place. I hate when that kind of thing happens! 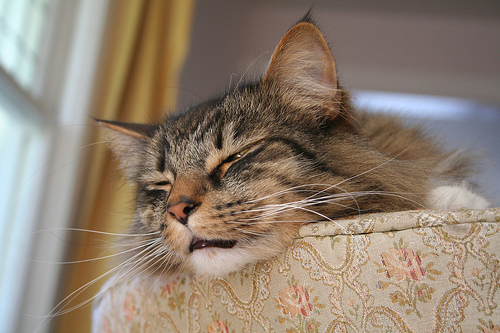 I have heard that some cats are really sweet, but no one has ever said that about me. One of the sweetest is Marushka at Rosa's Yummy Yums. I wonder how you get to be sweet? Meowza, at imeowza, is now a bachelor and can enjoy the peace and quiet, and show off his beautiful tummy to the entire world! 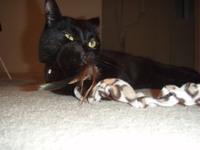 The gorgeous Puddy at A Byootiful Life has the coolest toy ever! I wish I had one like it! Kashim at The Catboys Relm is always super adorable, but he really outdid himself this weekend! The only thing cuter would be Othello in the picture too! 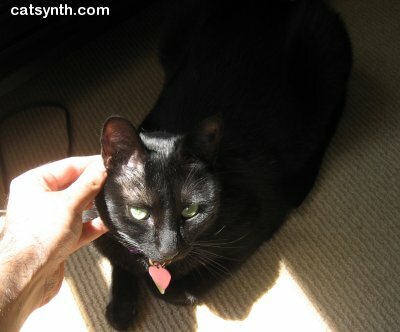 No matter how busy things are in her life, Luna at CatSynth always looks calm and beautiful. Maybe I'll be like her someday!!!! Ya think? Mom was laughing her head off as she read the post by LB at The Sour Dough. He sure is funny! And he's dealing with his own mom throwing out a lot of stuff, including one of his favorite toys. When will humans learn that we get to make those decisions first. Oh look! 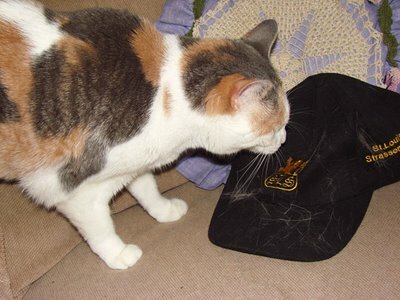 Willow over at Sammawow decided to decorate her Mom's black hat with lovely white cat hair. As usual, humans never appreciate when we take the time to do that! Hey there Shoe-Head! You look all, "What? My head wasn't just jammed all up in that shoe. WHAT?" I think you have pretty small feet, Sher. Laura could go a-sailing in the boats I call shoes. I'm going to try to convince Kami to appear for WCB because he always likes it best when you're hosting. How's the tummy? Too cute. I love the look on kitty's face. Caught red-handed. 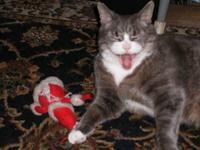 Catnip does mysterious things to cats...always a fun time to watch them react to it! 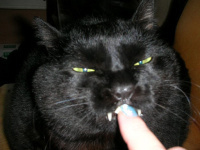 My ownee once re-enacted the way we react to catnip in a public place. She embarrassed us. A lot! Dear little kitty, you look so funny with a shoe on your head! We both thank you for hosting this weekend and, again, hope that you're feeling better already! She looks like she needs a good run around after that! We've realized we need scratching pads all around the house to save our furniture, it generally seems to work, tina goes for the pad instead of the sofa if she's getting frisky! 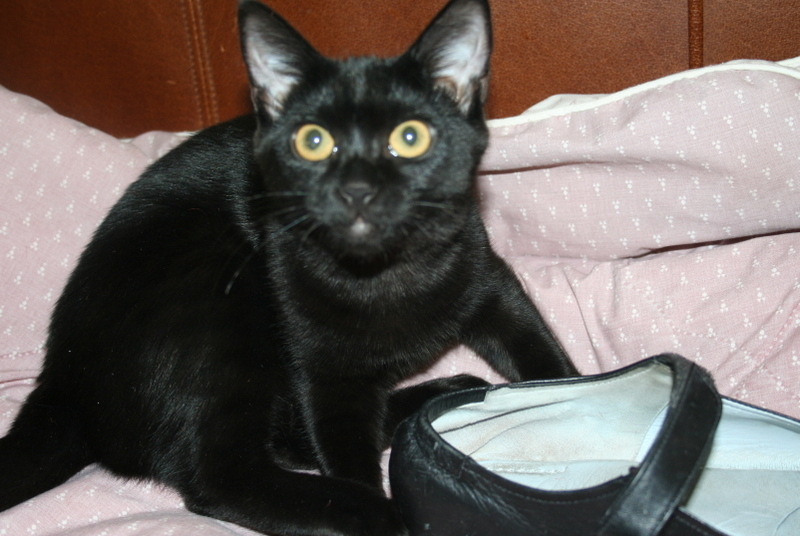 I can't tell whether she is dazed from the catnip or the other possible odor(s) inside the shoe! We welcome new babies over at Corgifeathers this week. I love that look on her face! I see that 'spaced out' look often on my own catnip fiends!! Love that photo. Hope you're feeling better, Sher! 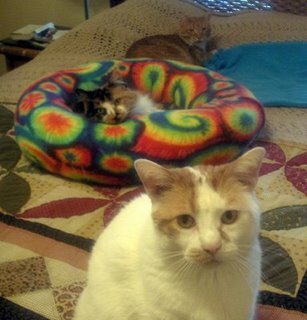 Stasia says that she would be happy to hold an intervention and um... confiscate all that catnip. For Laura's own good, you know! All this past week, posts on 'It's all Good.' 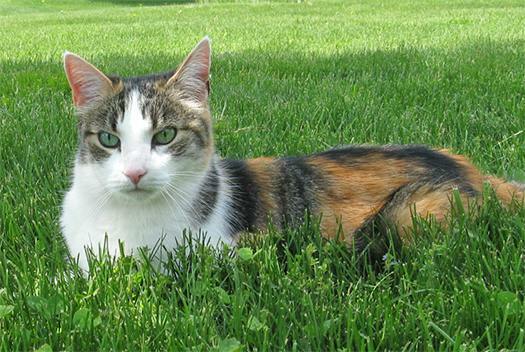 have been about Caitie the calico, since it was 11 years ago today that we adopted her. What a funny expression! 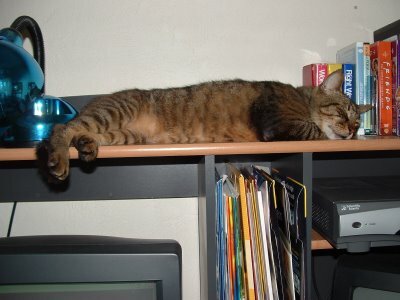 Years ago, I had a cat who would fall all over my boyfriend's shoes, but there was no catnip involved. Very odd. Wow, that must be SOME catnip! Woo hoo! If your head gets stuck we'll take it off you. Just to help yanno. Here is our entry for WCB! Tigger is trying to hoard in on my favorite spot! 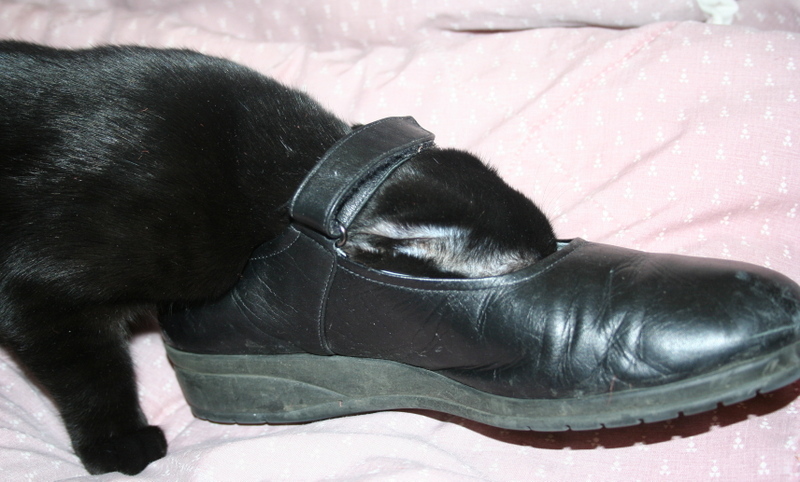 Thanks for hosting Sher and cute pictures of cat in shoe!! Hilarious! Laura's really growing fast! smoooches and kissies and hugs to you all! Hope we aren't too late! I was way too late to send in a link, actually I haven't even put up a post yet! But I wanted to say I am enjoying all of the WCB links and I love the picture of Laura with her head in the shoe! And then, what big eyes she has! Laura is such a dollbaby. I'm so glad you have her.